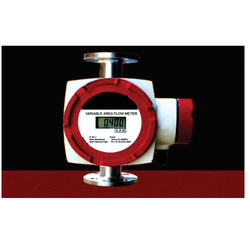 We are a leading Manufacturer of digital rotameter, industrial flowmeter, mass flow meter, ultrasonic flow meter, non contact flow meter and digital pd flowmeter from Mumbai, India. 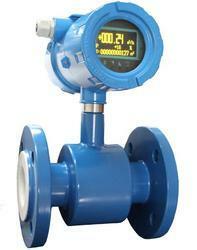 BIMCO manufactures best quality Digital Rotameter. Origin of metal tube rotameter. Power Supply 24 V dc Etc. 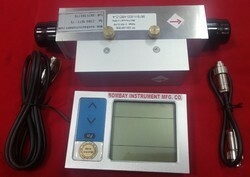 Vortex flowmeter in-built with Pressure and Temperature Transmitter. Microprocessor based software will automatically compensate Pressure and Temperature variations in Pipe Line so there will be no Fluctuation and it won’t give inaccurate reading. Complete Set in One Suitcase. Line Size 1" 1.5" 2"
BIMCO manufactures best quality Steam Flow Meter. 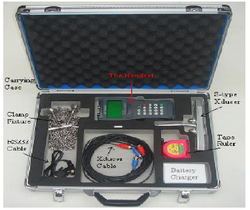 The products are of amplification board of micro consumption and current output. The products can output current signal of 4~20mA corresponding to flow signal. The products can show grand total flow and instantaneous flow simultaneously. The products have the function of eliminating small signals. The products can set freely the damping time. getting small size and compact structure. line size (20mm~300mm) for liquid and gas medium. The products are humanity design with user-friendly control. of measurement range and no self-excitation.